We, Srikanta Bagdi and Rai Bagdi live in the village Banskuli. Our village is completely dry and dusty. In the summer we used to fetch our water for drinking and cooking from far away. Now with this new bore well we have a water source inside our village. Now we will be safe from water borne diseases. 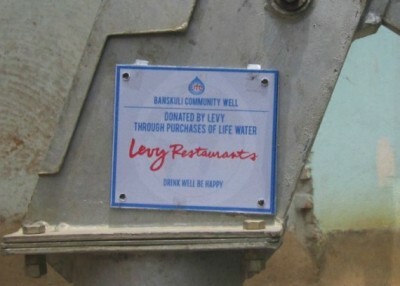 Thank you Levy Restaurant and drop4drop who donated this bore well without knowing us. Thanks to all of them.